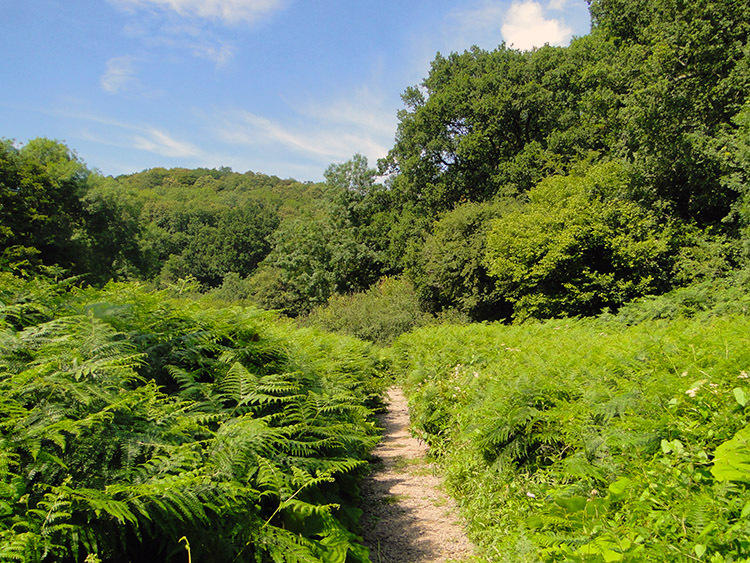 The remaining days of my Great British Walk could be phrased 'journey into the unknown' as from now on I would walk every step on new ground until I reached the south Cornwall coast during the final day of walking. The unknown journey begins in Bath with Strolling Steve now back at my side. It was a timely return for being a Bristolian he knew Somerset well. 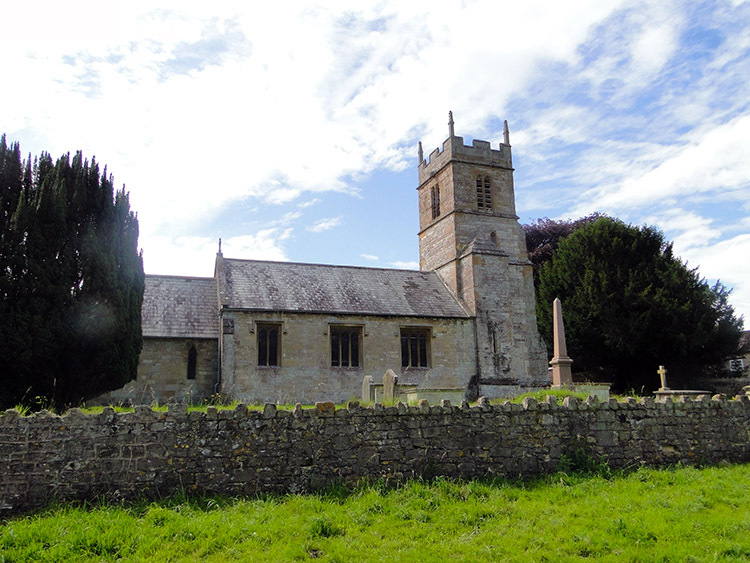 This first day for us walking in Somerset was a 20 mile journey through lovely countryside with a number of pretty villages to enjoy on the way until we finished in our final village of the stage at Compton Martin. 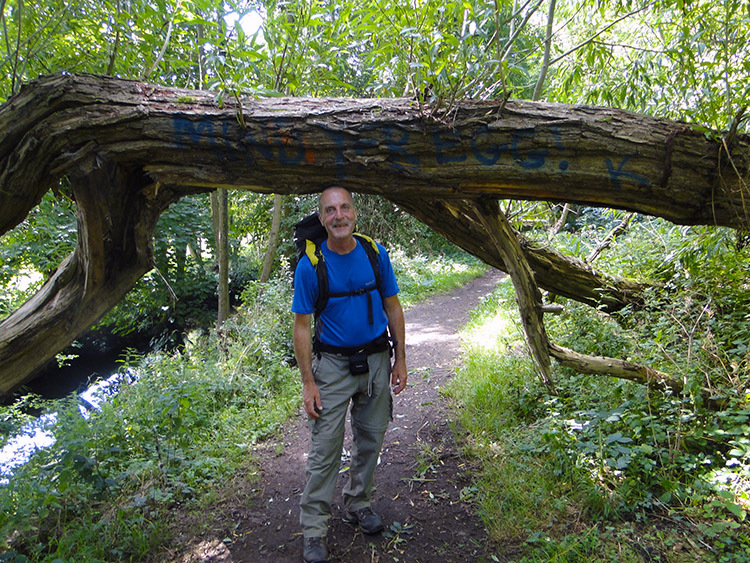 A good morning had broken as Strolling Steve Scott and I set off on my continuing walk to the south coast of England. I felt a slight pang of coming to the end of my long journey as we strode out of Bath and in to the southwest phase of the walk. Despite the fact I had still over 200 miles to cover I had just two weeks still to go, after almost ten weeks on the paths of Great Britain. Hey, less of the melancholy. we still have a walk to do. 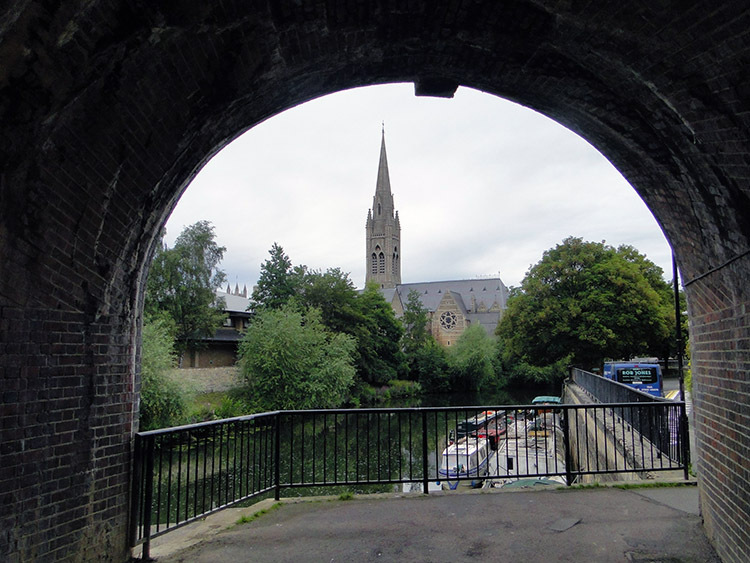 From our Bath accommodation we followed the Kennet and Avon Canal for a short distance and then a series of streets and roads which led us to the dotted green line. It was 7.30am when we had set off. 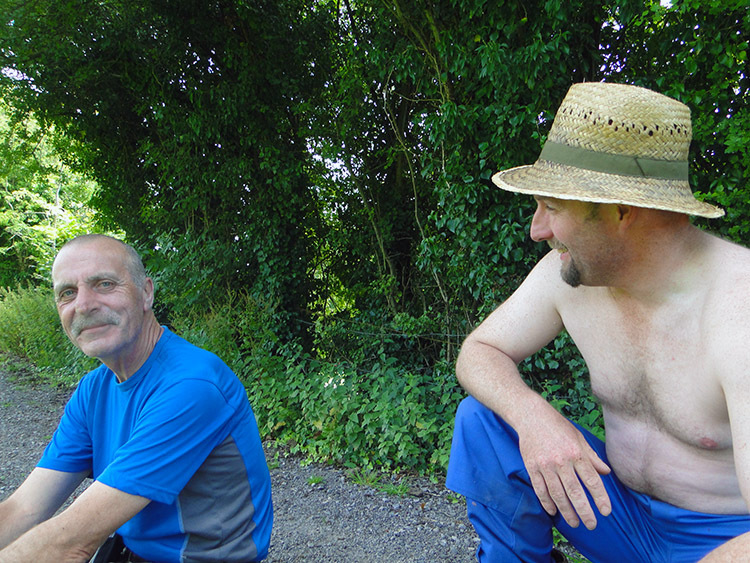 Rob Jones the remedial builder was already working on a site by the side of the canal and a young man was waiting at a Bus Stop by the roadside outside Widcombe Social Club. 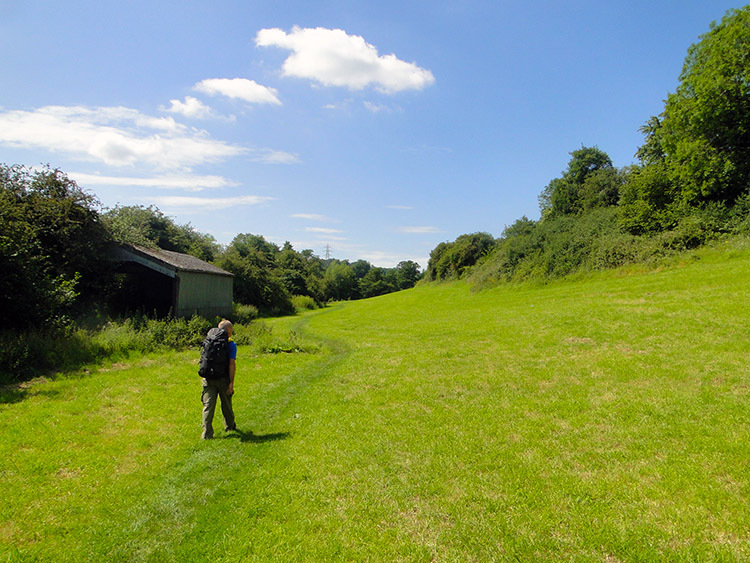 The way of the dotted green line through Widcombe and past Crowe Hall proved to be a good one. It was in fact on the path of the Palladian Way which as a waymark told us was an architectural trail. 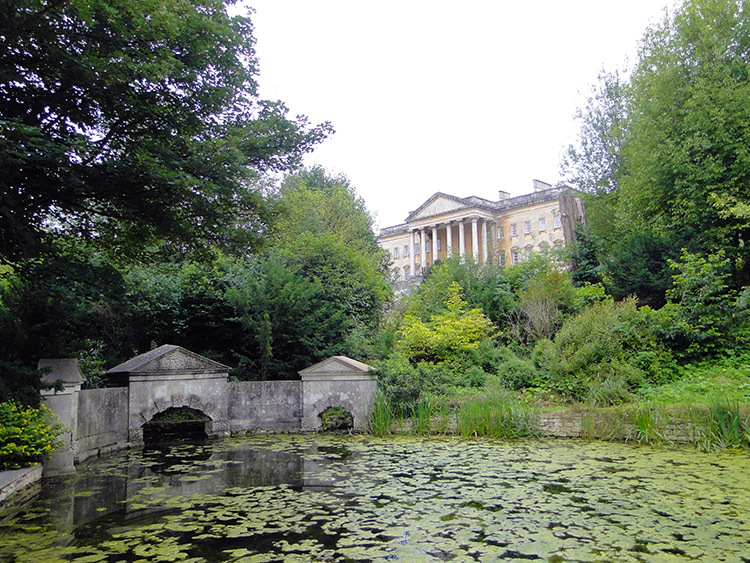 The trail led us into the grounds of Prior Park of which the centerpiece is a Palladian House. We saw Deer in the woods of the park and a great deal of beauty besides. Prior Park is managed by the National Trust and the grounds are pristine. We passed close to the house which has an elevated view over the City of Bath and we walked through the formal gardens which we gorgeous with the Lily ponds being particularly striking. The walk through Prior Park was a delight. There was just one snag when we arrived at the far side of the park and came to leave. The gates were closed! There had been no sign of Prior Park being a private park or National Trust site when we had walked in from the other end on the Palladian Way. Flipping heck, what were we to do? Walk all the way back and work our way around. Not likely. It was 8.30am and nobody was around. We climbed over the gates. After the fun of walking through the beautiful surroundings of Prior Park Steve and I continued on a good and clearly marked permissive right of way through the village of Combe Down. We passed the very impressive edifice of Holy Trinity Church and the very humble premises of Combe Down News as we walked through the lovely suburban village. Combe Down News advertised "Sweet Raffle: Only open to Children". 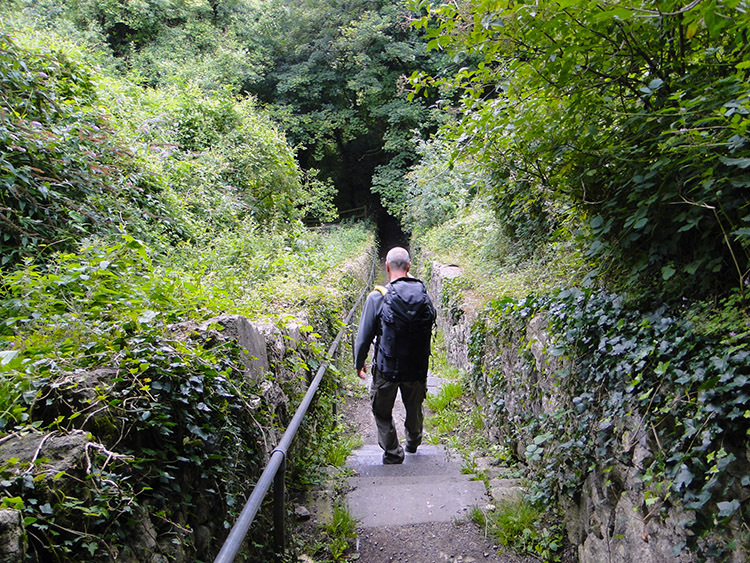 Walking through lovely Combe Down led us out of urbanisation and into rural life by means of a very steep stepped footpath which led us from the relative heights of Combe Down set at around 160 metres elevation to Tucking Mill at a mere 35 metres above sea level. We had descended over 100 metres in no time at all. I was glad it had not been the other way around. At Tucking Mill we had joined the Limestone Link footpath which was to be our companion for the rest of the day to Compton Martin. 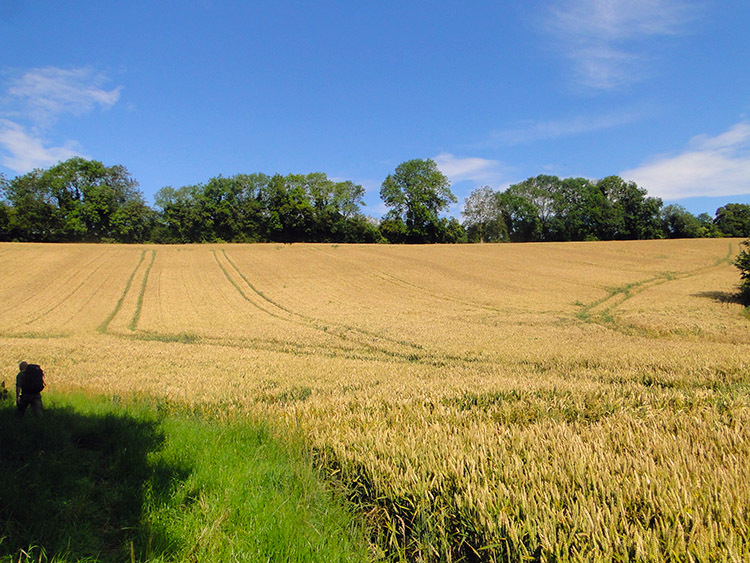 The first part of our Limestone Link walk was along road near to the village of Midford. 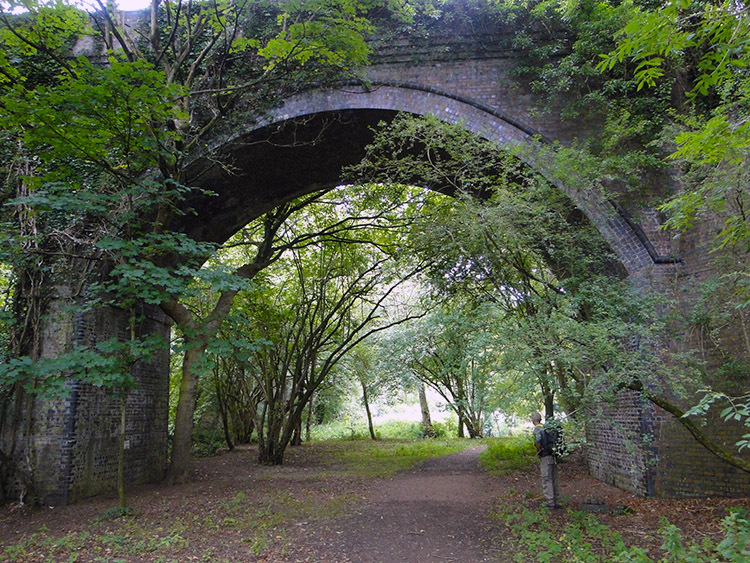 We passed the Hope and Anchor pub and then left the road to pass under a disused Railway Bridge. Trees grew in and around the bridge which would not have been allowed had the railway which had once run above it still been active. After emerging into the light on the far side of the bridge we continued on westwards by following the course of Cam Brook for a lovely morning of rural tranquility. 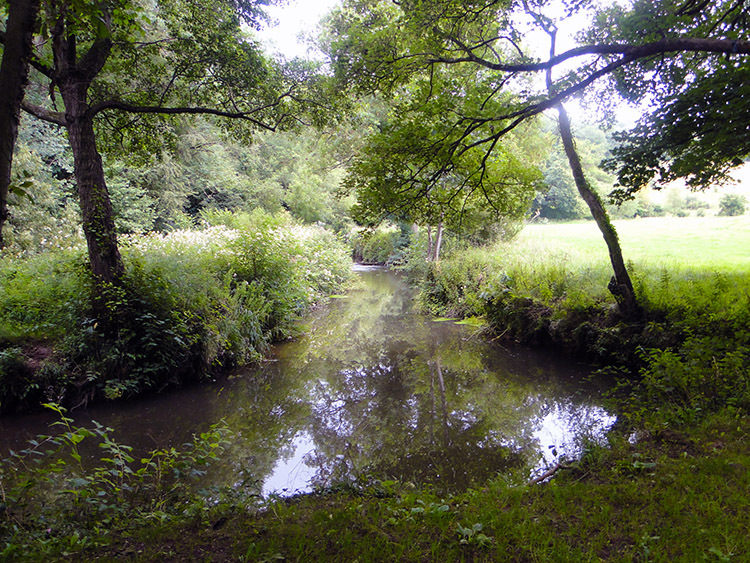 The brook had also served as the Somerset Coal Canal where we walked. We passed an old aqueduct on the canal and a disused bridge which was barricaded off with a sign saying "Dangerous Structure. Keep off". It was sad to see the industrial artery which had kept Bath warmed in winter by coal fuel from its native Somerset uncared for. 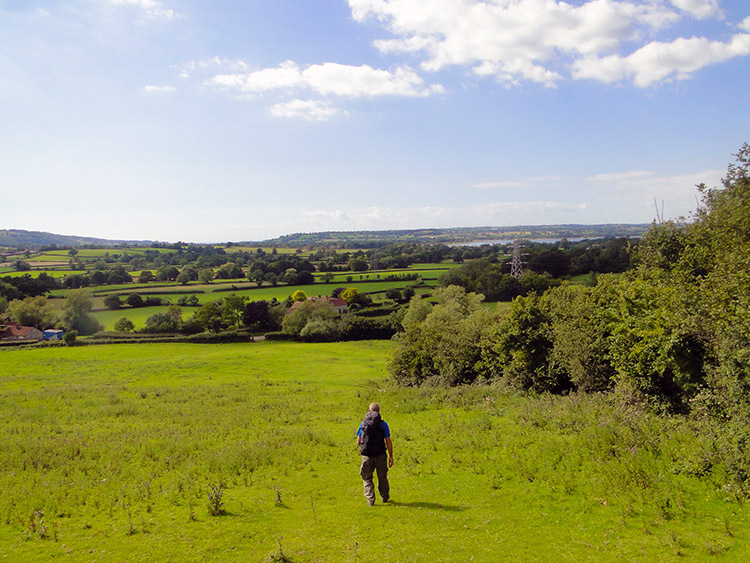 Our next hour of walking in the vicinity of Cam Brook to the village of Combe Hay and on to the neighbouring village of Dunkerton was utterly delightful. 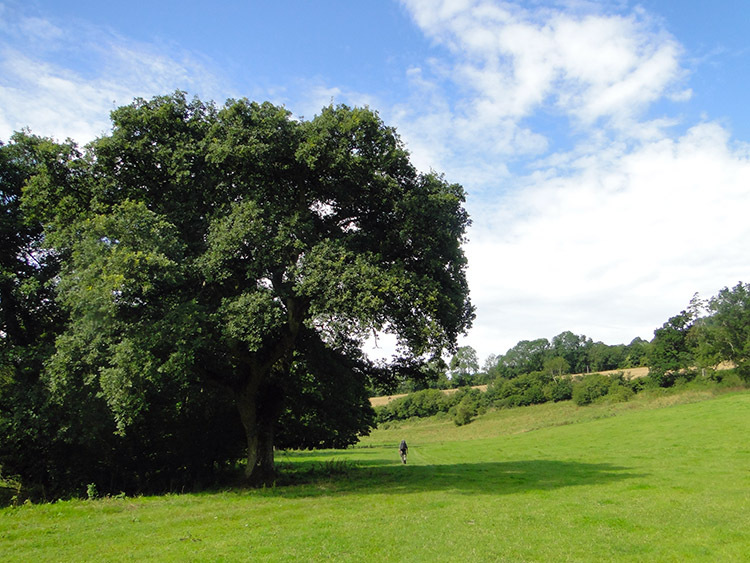 The sun came out and shone brightly on the beauty of the rural landscape and in doing so it made my first day of walking in Somerset an uplifting experience. I was in a complete sense of calm "Is there anything better in life than this" i thought as I walked in an area completely new to me. I looked around here, there and everywhere, taking it all in. A Buzzard flew close by and landed in a nearby tree to watch Steve and I walk on by. My sense of the beauty around and of complete calm continued as we passed through Dunkerton on the perfect summer morning. I could not imagine that I was in fact walking into the heart of what had been the Somerset Coalfield. The coalfield had been active from the fifteenth century until the last workings which had closed as recently as 1973. 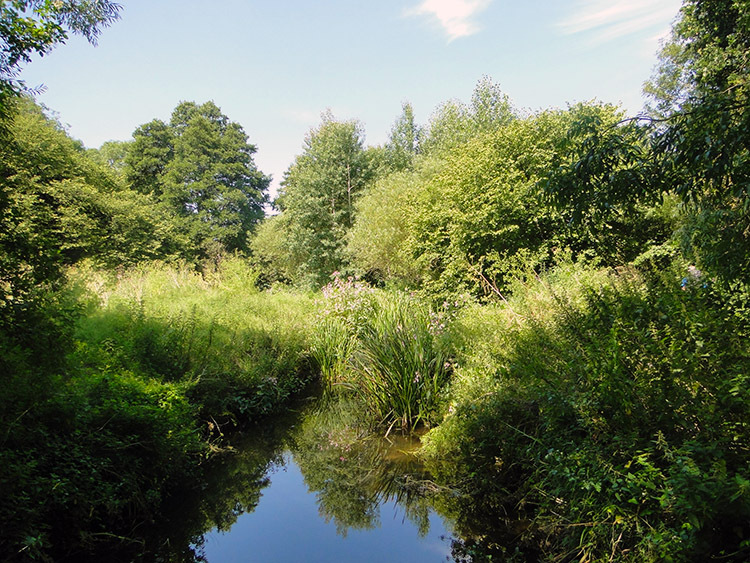 Most of the coal fields had been situated near Cam Brook which we were now following. Perhaps the ponds near to the hamlet of Carlingcott which was the next habitation we reached were the result of coal workings. It was unimaginable, they looked perfectly natural to me. And exquisitely beautiful. We continued on from Carlingcott towards Camerton with me in complete ignorance of the areas industrial past. It is only since I finished the walk and researched the area for my write up that I learned it was once a coalfield. So thinking only of the rural idyll it is now we carried on walking with me in a state of bliss. We reached the village of Camerton which we ought to have passed without calling in but Steve diverted to look at old haunts. He had friends he once visited in Camerton so wanted to take a look which he did while telling me the tale. Then we carried on walking once more along the lovely lanes and across the perfect pasture fields of the area to Radford. When there we came to a sign by Durcott Road side. 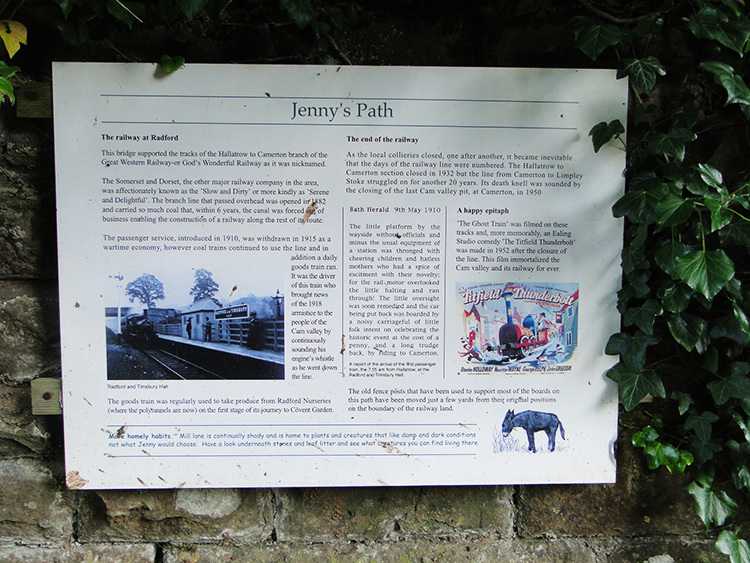 The sign said "Jenny's Path" and while it was was dedicated to a Donkey it also told the story of the Hallatrow to Camerton branch of the Great Western Railway. The heyday of the line was naturally when the local coalfields thrived and the demise of coalfield and railway line was mutual. During the heyday of the line thought it was not just a story of coal but one of iconic films too. The film Ghost Train featuring Arthur Askey was filmed on the line as was the Ealing comedy Titfield Thunderbolt. Carrying on our walk close to the line of the disused railway we did not meet Jenny the Donkey. Nor did we come across a Ghost Train or the Titfield Thunderbolt. However we did come across an immovable object. There was a blocker on our path. It was a Heavy Horse and it was not for moving. 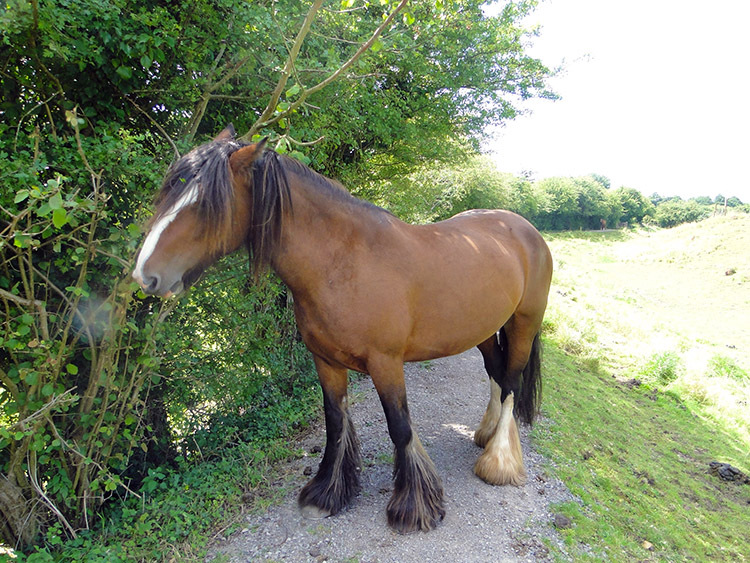 Steve and I stood for a moment or two hoping for a reaction but the horse stood firmly on the path. A voice from behind the animal said "He is a Stubborn one, you will have to walk around him. Don't fret, he is harmless". We did as we were told and walked around the stationary horse. There we met his owner. The Horse Dentist. Not only were he and the horse there. There were Chickens, Ducks and Geese too. And a couple of Goats. The Horse Dentist had quite a menagerie. We began talking with him and he proved to be a really interesting character, so much so that we sat down on the path side and chatted with him for a good half hour. 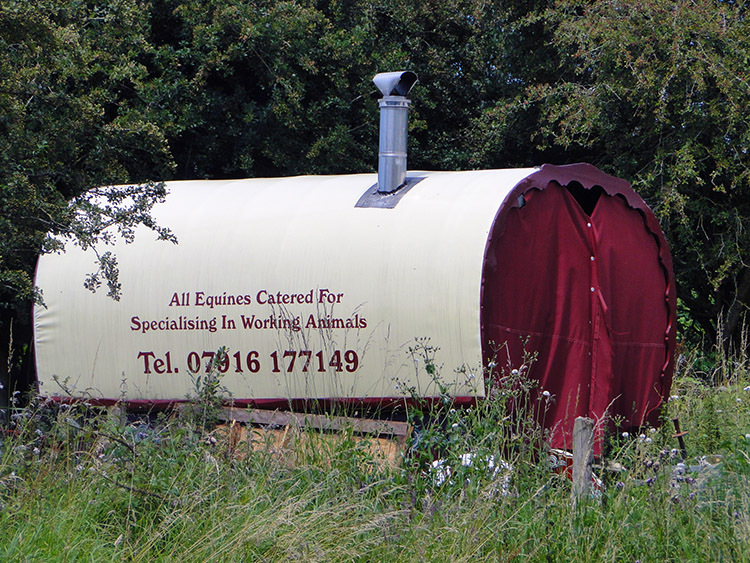 He lived a Gypsy lifestyle and did his Horse Dentistry and other veterinary work from his Travelling Caravan Shop which he showed us across the way. "I could see me leading a life like that" said Steve. I know he could have in another life as he had said similar things before. It was yet another of those great random meetings with the Horse Dentist, the type of which you can only get on a walk. After handshakes we left him with a wide beaming smile, it was such an enjoyable half hour chatting with him. He clearly had a great love and empathy with all his animals which was so heartening. Back on our way I continued to appreciate my new found liking for this area of Somerset. Perhaps if it were raining and miserable I may have felt different but I had not seen the wet stuff for nigh on a week now and that made all the difference to me. Near to Hallatrow we came to another area of Ponds and met other walkers for the first time in the day. They were from the nearby large village of Paulton which were were just missing, edging the north side of it. 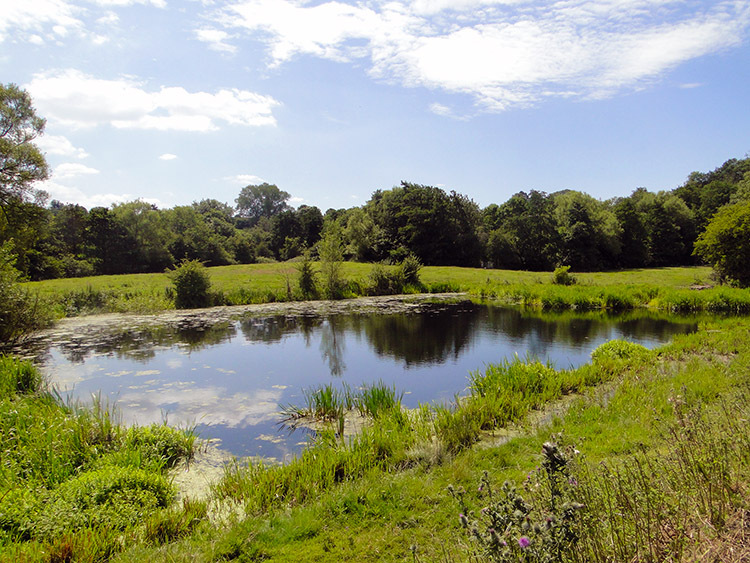 The walkers told me the pond walk was a local favourite of Paulton folk. More field paths, lanes and woodland copse paths took us on beyond Hallatrow towards Temple Cloud. The sun continued to shine and the day continued to be delightful as it turned from morning to afternoon and beyond towards mid afternoon. 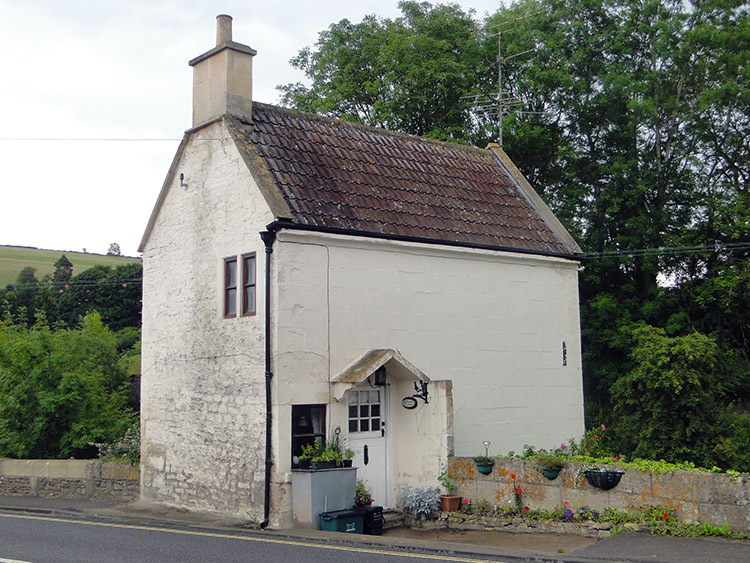 Steve and I were ambling in the heat of midday rather than marching to gain ground as we often were during the walk as we passed Temple Cloud and followed a very quiet country road to the tiny village of Cameley which constituted a Church, a few houses, a big farm and not much else. Just one car passed us as we walked the couple of miles of tarmac road. After Cameley we left the tarmac and continued on a diagonal line across fields to the village of Hinton Blewitt. 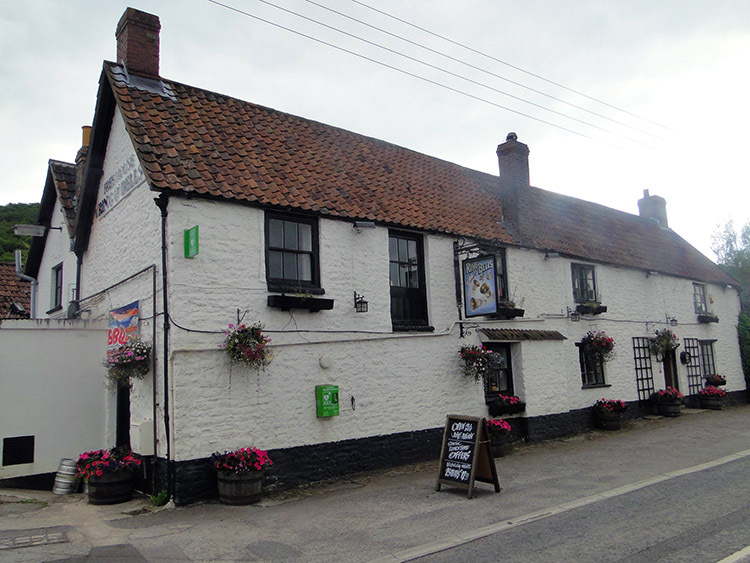 It was around 3.30pm when we arrived in Hinton Blewitt and on seeing a group of people sat out on the benches of a country pub enjoying drinks we decided to break from routine and join them. It was hot and we were thirsty so why not. Just one though. While enjoying our drinks bonus we noticed the pub was called Ring O'Bells. we were staying at a pub called Ring O'Bells but I was convinced it was in a different village. We had to ask though and both Steve and I were relieved to know there was indeed a pub of the same name a little further on our way. Refreshed with drinks from the Ring O'Bells in Hinton Blewitt we carried on to the completion of our first day of walking in Somerset with the near permanent smile we had worn for most of the day. The Limestone Link led us to Prospect Stile which allowed great views across Chew Valley to Chew Reservoir. Steve told me he had spent many a childhood day there during family outings. Walking across fields from Prospect Stile to West Harptree we watched a Buzzard circling in the sky and enjoying the warm thermals directly above us. It was not disturbed by our approach or passing. After the overhead show of grace we ended our crossing over easy well nibbled grass pasture fields near Whistley Farm but not before a final field of tough negotiation around the edge of a field filled with towering Cob Corn. The farmer had not done enough here to make the path passable. 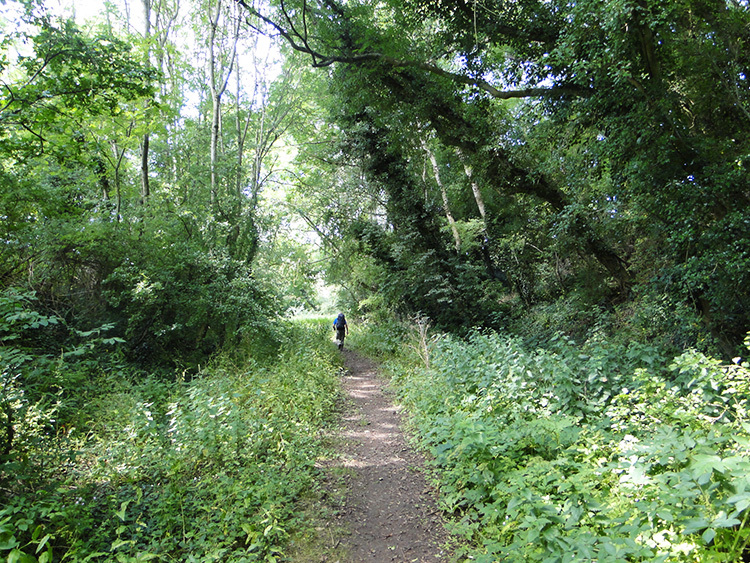 And after passing Whistley Farm the walk along Whistley lane towards West Harptree was just as badly maintained. Grass on the unused lane had been left to measure up to jungle proportions. It was no fun struggling our way through it without Machetes. The lane was a sunken one and looking up over the hedge to one filed we were glad the field incumbent had not spotted us looking. 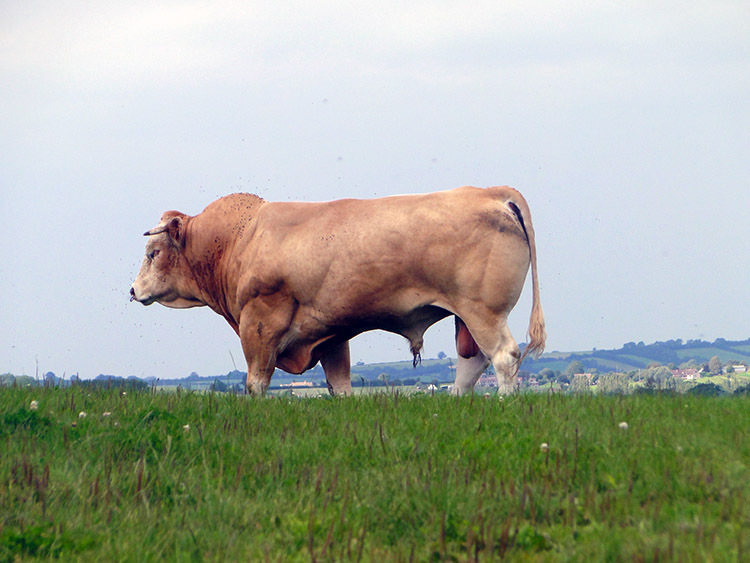 He was a very big lad who I would not want a fight with. After the struggle of Whistley Lane was over we reached West Harptree and walked through the village of road junctions quickly, safely crossing the A368 in doing so. Fifteen minutes of walking later of one decent lane, two fields and a short road approach we were in Compton Martin. The Ring O'Bells looked all as inviting as our first Ring O'Bells had been. And indeed it was. We had a great night which prepared us well for an epic day which was to come tomorrow. And we had just enjoyed such a great prelude to that epic. I had fallen for Somerset on this day walk.